BlogAre you going to NFAIS 2016 Annual Conference? 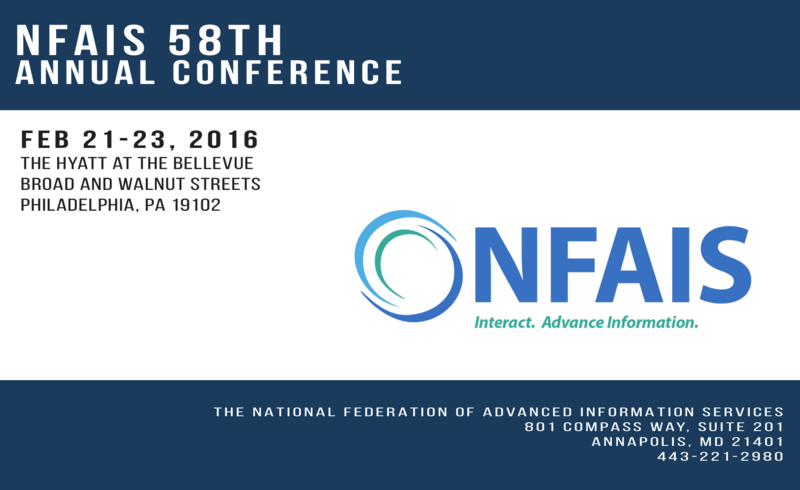 Are you going to NFAIS 2016 Annual Conference? The scholarly world is changing and data is becoming the foundation of new knowledge. Research communities preserve and assess data to make important decisions. They use tools for evaluating data and prioritizing data sustainability. The NFAIS 2016 Annual Conference is being hosted on February 21-23, 2016 at Philadelphia, PA. It would be a great opportunity to know about the complexities involved in a data-rich environment, and prepare a solid foundation for the data-driven future.